Beavers build dams to trap water, creating pools that provide ideal rearing conditions for young amphibians, ducklings, juvenile fish, et al. Beavers are herbivores; they like willows and thin the trees – coppicing – so they grow back and provide additional habitat for birds. The branches they drag into the water add nutrients and draw insects, which the fish, birds, and amphibians eat. The dams trap sediments, cleaning the water, and slow the flow so that groundwater gets recharged. 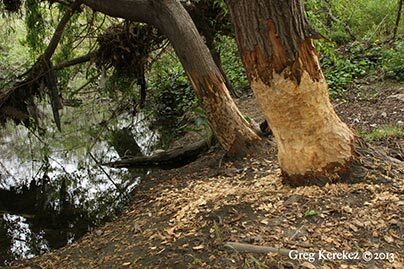 Beavers were last seen in the Santa Clara Valley in the 1850s. The population was decimated by fur traders, but they have reappeared and are now spotted along Los Gatos Creek and Guadalupe River. We haven’t seen evidence of dams on the Guadalupe River yet, but the drought and lack of water releases from reservoirs might lead these engineers to fell some trees – stay tuned! Thanks to Greg Kerekes we are able to share this video of the crepuscular critters. 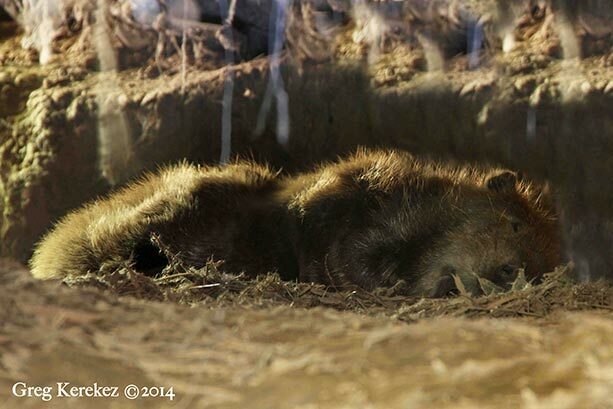 A complete recap of the 2013 beaver saga.